BuzzFeed asked George H.W. Bush what rules he uses in picking out his socks for the day. His response is printed in full below, with our own added illustrations. 2. "Assess the prevailing mood." "Sometimes a good sock can give those around you a lift..."
"...like a catchy tune or a post-convention bounce in the polls." 3. "When the thermometer dips, thread count matters." "It is a little known scientific fact that freezing your tail off actually starts in the toes." 4. "Sock length matters, too." George H.W. Bush, approximately age 12 (left) and 16 (right). "Pasty white or ungroomed shin..."
"...can be an unsettling sight for many." "Sunday church calls for a more muted, sober offering." 6. "Do your own thing." "It's fine to look to sock mavens like The Biebs or Al Roker for inspiration and ideas..."
"...but outright mimicry is bad form and strenuously discouraged." "When friends discover your fondness for feisty footwear, they will question your taste..."
"...and possibly even your soundness of mind." 8. 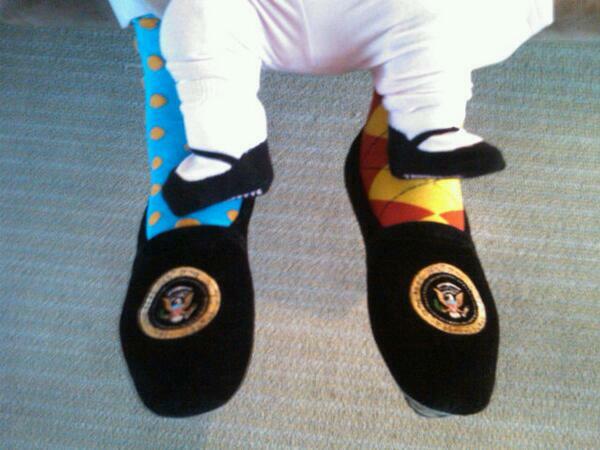 "Let the socks do all the talking." 9. 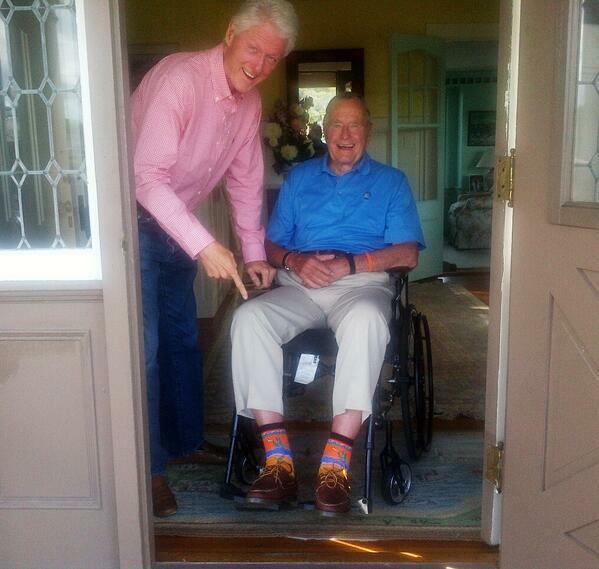 "If you are going anywhere with Barbara Bush, don't worry about the socks..."
"...because you'll already be the luckiest guy in the world."